It’s been a little while but I am still beavering away at various game projects and events. 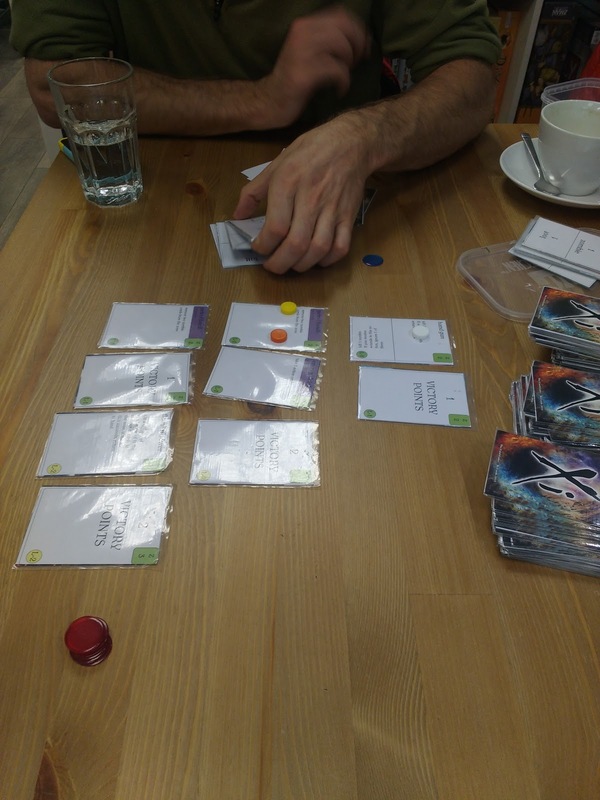 First up I’ve had two playtest sessions since the last one I posted about and both went well. 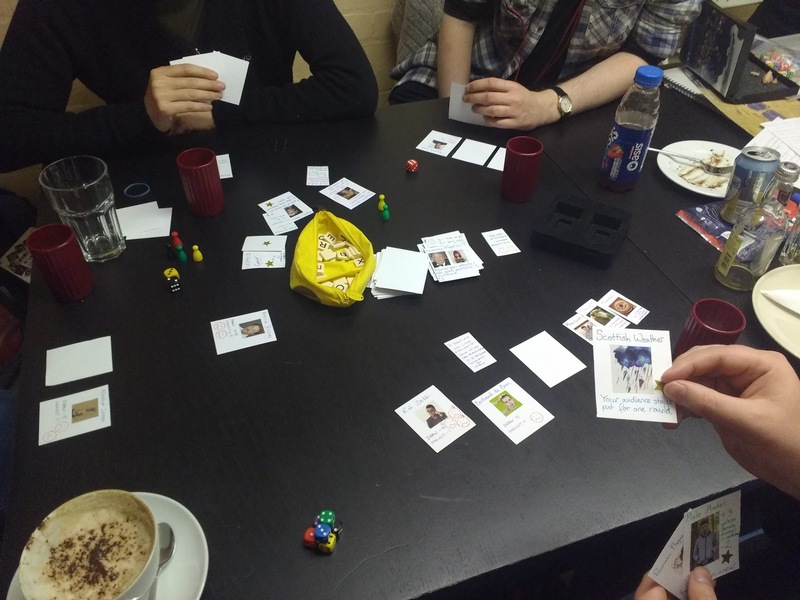 The Edinburgh Playtest group now exists on Facebook and we are growing with every meeting, managing 3 games at once last time we got together a couple of weeks ago. 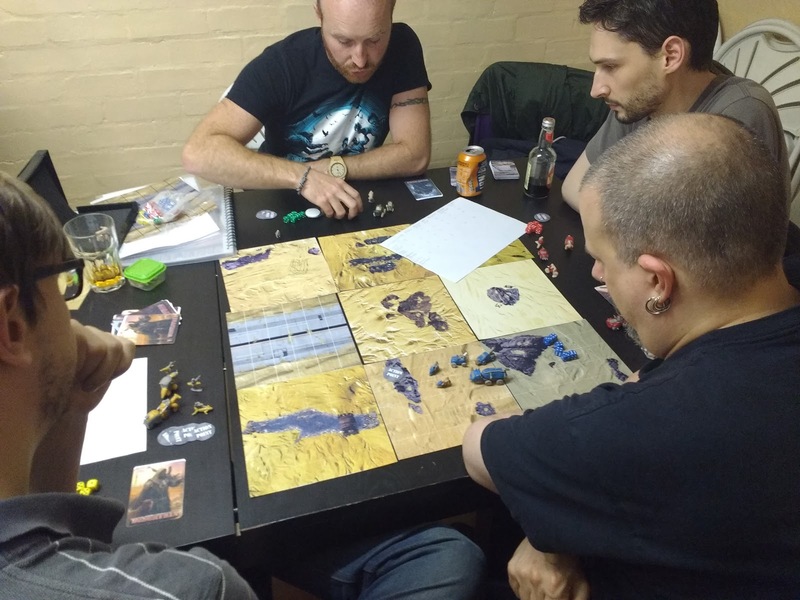 Games shown included Robot Factory, Wreck and Ruin, our second post apocalyptic car game in as many playtests, a Fringe based game I didn’t get a look at, one based on Porterhouse Blue and my own design Conspiracy which is really starting to shape up. I am taking the dive into doing some videos as well, the first of which will be a short unboxing video of ‘Tiny Epic Western’ a game I recently received from Kickstarter. I’m going very basic equipment wise for now, but if I enjoy it I am planning to invest and maybe take some of the stuff with me to Expo next year and try and do the press thing. We shall see! Arkham Horror LCG comes out soon and I am very interested in this blend of LCG and coop mechanics. 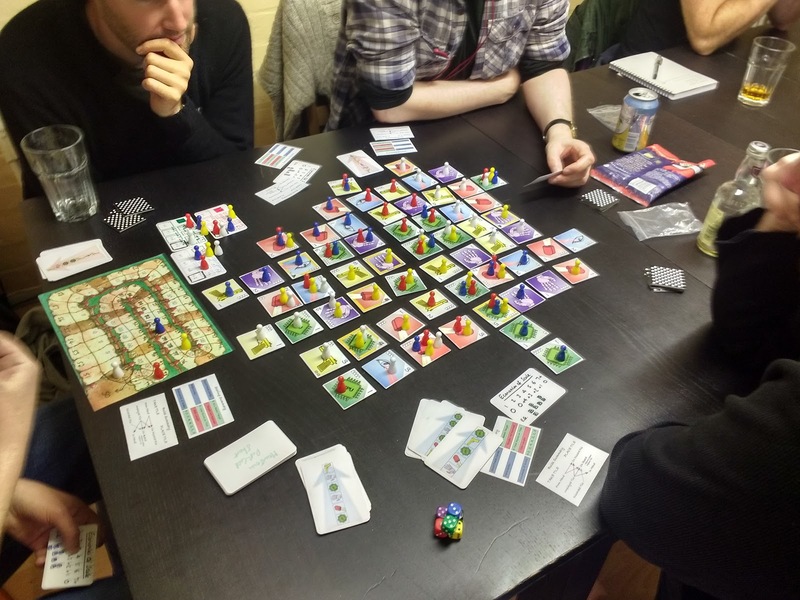 I should be shooting some video of that at Tabletop Cafe when it releases, and we will be doing a launch event as well, more details on that soon. Other than that I should have a review up soon of Mansions of Madness 2nd Edition, Star Trek Panic, Mafia de Cuba and Arkham Horror LCG when it comes along. All of these will hopefully be accompanied by some video content as one of the things I really want to emphasise with my reviews is the physical artifact of the game. 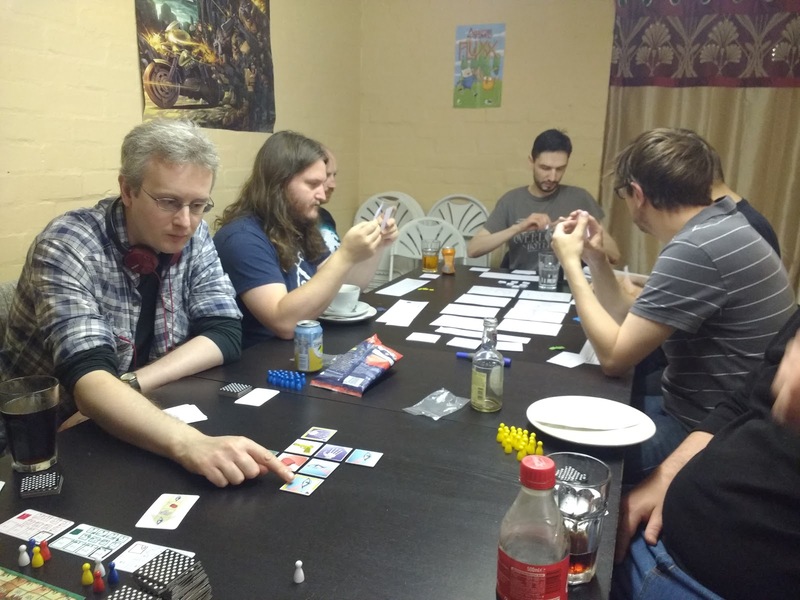 Hope you are all enjoying the games spilling out of Gencon, and Essen is just round the corner and I hope to get back to more regular posting soon!